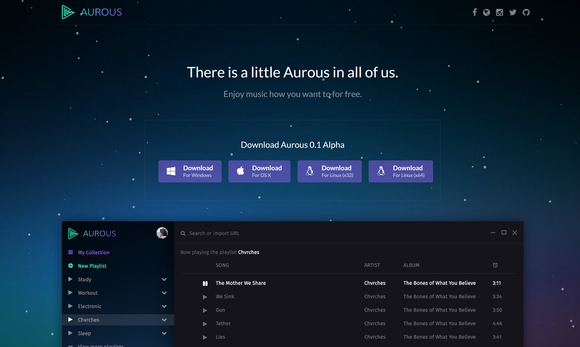 Aurous is a new streaming service that dubs itself the 'player of players' and is about to get hauled into court on charges of copyright infringement. You may not have heard about it, but on Saturday an ad-free, no-cost music-streaming service dubbed Aurous launched in alpha mode for Windows, Mac, and Linux. A mere three days later, on Tuesday, the recording industry decided to sue the fledgling app, because Aurous doesn't have a streaming deal with the major music labels, unlike services such as Apple Music, Google Music, Groove, and Spotify. Instead, Aurous grabs its music from more than 120 sources across the Internet, according to a Billboard interview with Aurous co-founder Andrew Sampson. 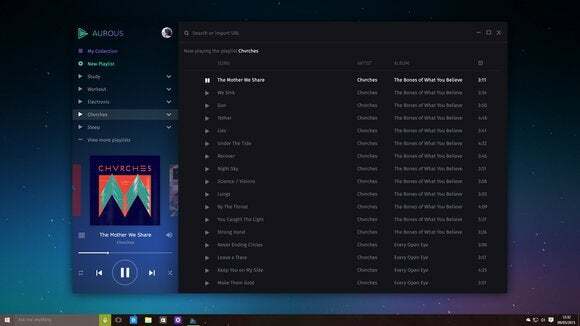 Aurous is already being called the Popcorn Time of music, but that’s not quite right. Popcorn Time streams its content via pirated movies being shared online via the BitTorrent protocol. In effect, Popcorn Time is a BitTorrent client that shares the content you’ve downloaded with others while you’re watching the movie. Aurous, on the other hand, uses the application programming interfaces (APIs) of other music services to deliver content to users. Aurous does use BitTorrent, but only to deliver search results from those public sources—not the actual music. Three days ago, Defendants launched a service that blatantly infringes the Plaintiffs’ copyrights by enabling Internet users to search for, stream, and download pirated copies of Plaintiffs’ sound recordings for immediate listening and later playback,” according to a copy of the complaint hosted by the Electronic Frontier Foundation. The impact on you at home: Aorous is a nice looking app with handy features like a customizable UI, local file support, and music library management. But unless you really hate ads, there’s little reason to use Aorous. Getting free music from fully approved sources is easy with Spotify’s ad-supported tier, plus you get some limited features on mobile as well as PC. As for music library management there are tons of apps out there to help with that such as Plex. Aorous may be a questionable program to use right now, but we’ll be keeping an eye on it as the developers plan to fight the recording industry’s legal challenge.